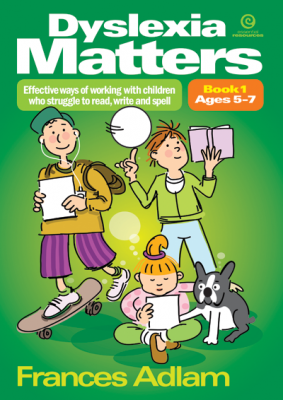 Dyslexia Matters : Book 1 : Ages 5-7 : Effective Ways Of Working With Children Who Struggle To Read Write Spell - ubiq bookshop: the best place to buy books! Provide clarity. Learning language patterns is a key to literacy, but what sets the Dyslexia Matters series apart is its focus on best practice for teaching these patterns to children with dyslexia. It offers a rich and important foundation of phonemes, phonologic awareness and general phonics knowledge. Designed as a progression of activities, it also has the flexibility to work only on the age-levelled patterns of each book where appropriate.